Last Thursday, Wired put out an article that walked through the story of how Android has exploded onto the mobile scene. 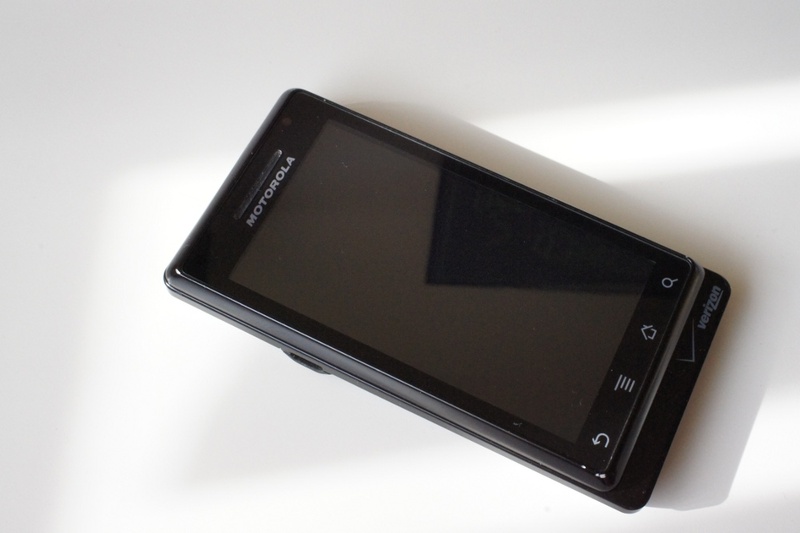 It talked Andy Rubin and the endless battles with Steve Jobs and Apple, but what really stood out to us, was the section that focused solely on the original Motorola DROID. Is it possible for a single device to save three major corporations? Just ask Motorola, Verizon, and Android that question and you might find a common answer. With all three companies struggling to come up with anything that could compete against the iPhone in 2009, they joined forces to create what folks around this blog consider the greatest phone of all time. As you’ll see in the piece below, the phone with its sharp and rugged look, was not an instant hit with CEOs who were expecting it to bring them back from the grave. But with an impressive marketing campaign that focused on what the phone “does” as compared to its competitor, it was an instant hit that helped propel this mobile operating system that we love to incredible heights. It’s a fantastic read. Fortunately for Rubin, Sanjay Jha was in just as dire a position. Jha, the new co-CEO of Motorola, had been talking to Rubin for months, hoping to persuade him to let Motorola build the next Android phone. Once the dominant mobile device maker in the world, Motorola hadn’t had a major success since the Razr—in 2004. Jha had been hired in August 2008 to resurrect Motorola’s handset business, and he had pursued an all-or-nothing strategy, laying off thousands and betting Motorola’s future on his ability to build a hit Android phone. A sense of doom pervaded the whole summer. Google engineers worried the phone wouldn’t sell but still found themselves working weekends and holidays to develop the software. Jha spoke almost every day with John Stratton, Verizon Communications’ chief marketing officer at the time, trying to figure out a way to tweak the design without having to reengineer all the electronic components. Meanwhile, they were facing a November deadline. In retrospect, what the agency had done was simple: It turned the phone’s menacing looks into its biggest asset by marketing it as an anti-iPhone. The iPhone was smooth and refined, so they would pitch the Droid as rough and ready for work. The iPhone’s electronics and software were inaccessible, so they’d market the phone’s hackability. “If there had been a phone in the movie Black Hawk Down, it would have looked like the Droid,” Bowen told the executives. A few weeks later, in early October 2009, Verizon and its new agency presented the Droid campaign to a group of 200 Android staffers. One ad featured stealth bombers dropping phones on a farm, in the woods, and by the side of a road. Another attacked the iPhone as a “digitally clueless beauty pageant queen.” A third listed all the things the Droid could do that the iPhone couldn’t. When they were over, the room erupted in applause. The Android team had been demoralized, but “when they decided they were going to do this full-on attack on the iPhone—that we were going to war—we got really excited,” says an Android employee. Apparently you didn’t have to work at Google to love the campaign. When the Droid launched, on schedule, it was a tremendous hit, outpacing sales of the original iPhone in its first three months. Motorola started to make an amazing turnaround; today, thanks to the Droid, it is profitable again. Verizon started winning more new subscribers. It also improved its bargaining position with Apple. Less than two years later, when the two companies introduced the Verizon iPhone, the carrier managed to get a better deal from Apple than AT&T had. Most important, the Droid halted Apple’s march toward smartphone dominance. In fact, it is by some measures outpacing its rival, powering 23 percent of all smartphones worldwide in 2010—more recent estimates are even higher—compared with the iPhone’s 16 percent. (Symbian still accounted for 38 percent of smartphones, on average, in 2010, while the BlackBerry OS accounted for 16 percent, but both were trending sharply downward.) Users activate more than 300,000 new Android devices every day; by comparison, as of October, combined iPhone, iPad, and iPod touch sales accounted for about 275,000 daily activations. Even Steve Jobs seems rattled; last October, he dropped in on an investors’ phone call to deliver a rant on what he sees as Android’s flaws. Anyone interested in the Motorola Dynamite? I highly recommend you cruise over to Wired and finish off the entire article. And not to get all emotional on you all, but this definitely hit home for me. This blog was founded on the original “OG” DROID, so to finally hear the story behind it brings a smile to face and maybe even a couple of tears of joy. We wouldn’t have an amazing community like this to hang out with everyday if this phone had not have been such a smashing success. Good stuff.